Looking to live the vibrant downtown Scottsdale life? Look no further than Camden Old Town Scottsdale apartments, located in the vibrant Entertainment District within Old Town Scottsdale. Walking distance to all the top restaurants, shopping and nightlife, Camden Old Town Scottsdale offers studio, one, two, and three-bedroom apartment homes. You’ll find that everything you need is right outside your doorstep when living luxe in the heart of Old Town Scottsdale. Camden Old Town Scottsdale is walking distance to 5th Avenue shopping, restaurants like Culinary Dropout, entertainment like Maya Day and Nightclub, and more! Hop on the trolley to see the beauty of Old Town and the nearby resorts, golf courses, civic center, museums, and spring training ball fields to name just a few. Just off Scottsdale Road, Camden Old Town Scottsdale is less than ten minutes from the 101 freeway, five minutes to Fashion Square, a short drive to Tempe and Phoenix Sky Harbor Airport. You can’t go wrong living in the most desirable Old Town Scottsdale address! 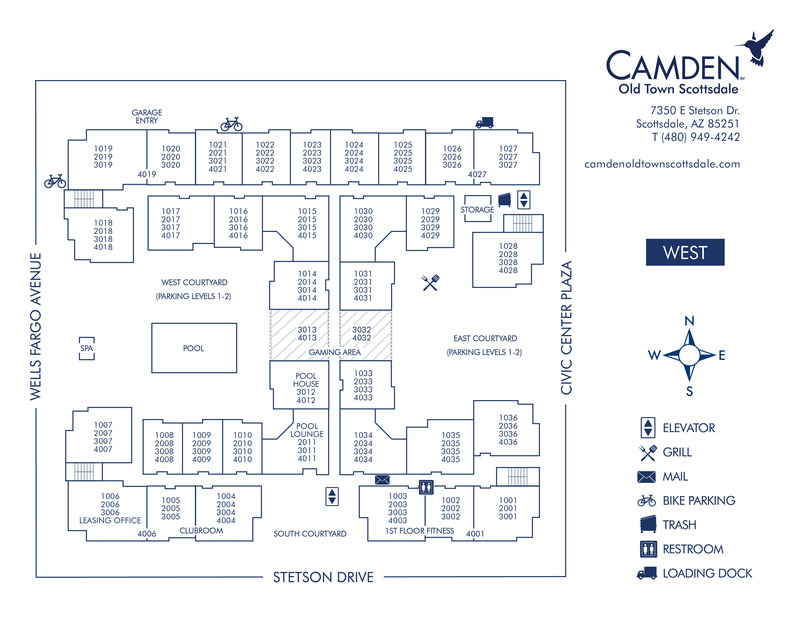 Call us at 877-413-6381 to see Camden Old Town Scottsdale apartments for yourself today! View our available apartments. Near Restaurants, Shopping, Nightlight, Galleries, & More! Nearby PetSmart, Oh My Dog! Boutique & Spa, plus Dogs Etc. At Camden, your pets are family too! We welcome cats and dogs, up to two pets per apartment. Call us with any pet related questions! Breed restrictions apply. We do not permit American Pit Bull Terrier, American Staffordshire Terrier, Staffordshire Bull Terrier, or any other dog or breed deemed aggressive. Guests are welcome on a first-come, first-served basis.